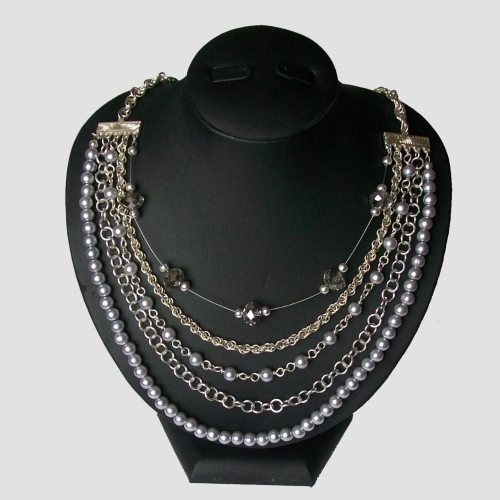 Handmade necklace featuring five different strands and chains supsended from a thick spiral chain. 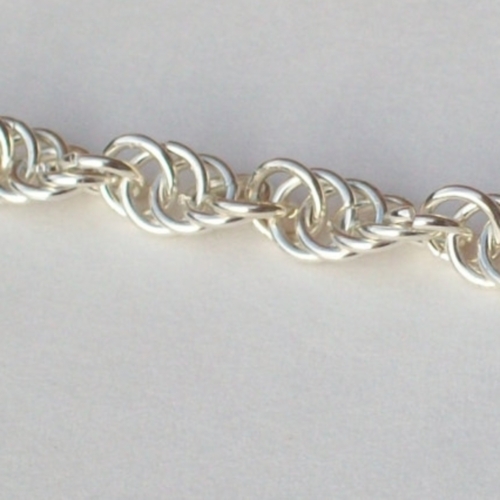 The top strand is wire with smokey glass rondelles. 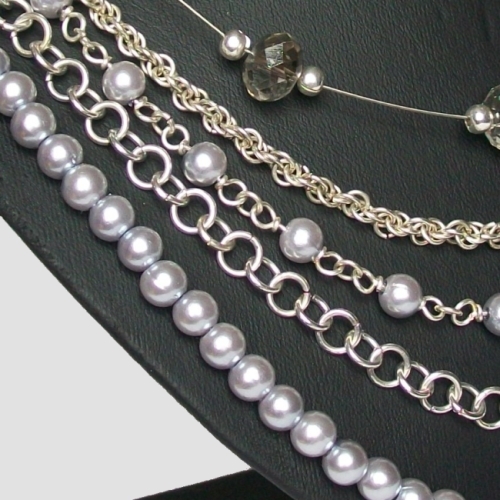 The second is a delicate spiral chain, followed by a strand of small grey acrylic pearls linked using 1mm wire. 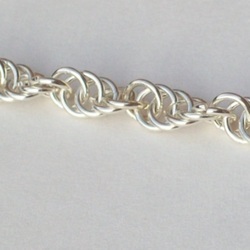 The fourth is a cable chain with large links. The final strand is a string of more grey pearls. Necklace fastens with a lobster claw clasp. All the chains are handmade using silver plated rings. 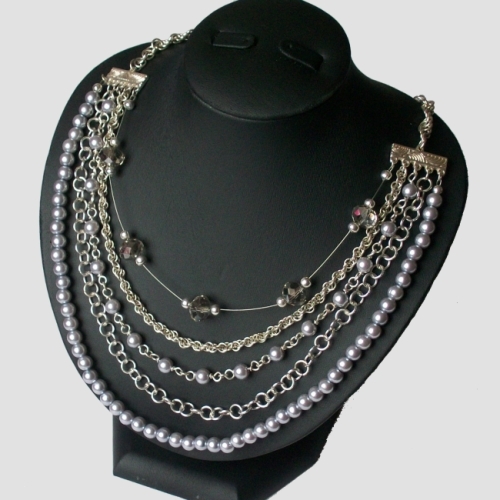 The necklace is 28.5" in length around the longest strand and 23.5" around the shortest.